The Canadian Geotechnical Society has a number of awards and honours that recognize the achievements and excellence of its members. Most of the CGS Awards and Honours are presented annually at the CGS Annual Conference. Click here to view a summary of all CGS Awards and Honours. Click here to see a summary of the recipients of the 2018 CGS Awards and Honours. Click here to see all previous recipients, and a brief description of these Awards and Honours. 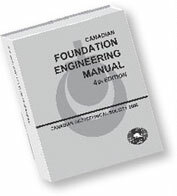 Primary funding for the CGS Awards and Honours is provided by the generous support of the Canadian Foundation for Geotechnique.